Description: Focuses on the critical analysis and interpretation of Bible/Jesus films and other films incorporating biblical themes or motifs in terms of the films’ biblical and extra-biblical content, cultural and historical significance, and ideology. Secondary focus on pedagogical use of such films, and the preservation, archiving, and digitalization of rare Bible/Jesus films. Mark will also be serving on the Steering Committee of the group. Jeffrey is the one of the authors of the excellent "Jesus, the Gospels, and Cinematic Imagination", and so is a good choise to head this up. I'm hoping to find out more about this and report back. I blogged a while back about Bruce Marchiano's plans to make a word for word version of the Gospel of John using the NIV translation. 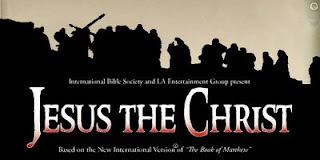 I added myself to their mailing list and have been following developments reasonably closely.So I was intrigued to get an email from them the other day about a DVD release for a film called Jesus, the Christ. I recently bought the four-hour word for word Visual Bible version of the Gospel of Matthew in which Marchiano played Jesus. Jesus, the Christ essentially is version of this footage cut down to 90 minutes, and, I presume, arrange the remaining material so that the finished product is more of a movie and less of a, well, visual Bible. Not quite sure what to make of the various bits of news coming out of New Zealand about Kingdom Come. On Saturday the Timaru Herald noted that accommodation booked for the film had, once again, been cancelled, and took that as evidence that the "pin may have been pulled on the movie". However, yesterday the Dominion Post quoted Ernie Malik, a spokesman for the film, as clarifying that despite some financial difficulties the film is still being made. 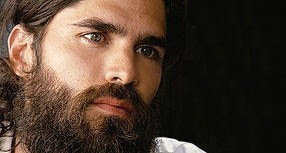 I've also had this confirmed (or at least repeated) by some of the comments on my original post about this film, which also mention that Catholic Mexican actor Eduardo Verástegui (pictured above) is lined up to play Peter. That information has also been posted at Wikipedia citing his official website, but I certainly can't see anything there to support such a claim. The Dominion Post article says that filming is now due to start in April, so hopefully we will have some more concrete information by then. Over at FilmChat, Peter Chattaway has made some interesting observations about The Big Fisherman. Like Ron Reed and me, Peter has never actually seen the film in question, but provides an interesting back story to its production, as well as noting some points about its plot and casting. I'm trying to remember whether or not I have a copy of the novel (by the author of "The Robe", Lloyd C. Douglas) on which this film was based - I definitely had the chase to buy it, but given that space is always a premium, and that I had neither seen the film not read "The Robe" yet, I may well have left it for someone else. One interesting thing about this film is the question of how it relates to the timeline of The Robe, and its sequel Demetrius and the Gladiators. According to one of the comments on IMDB this film involves Salome's dance in front of Herod, which suggests that some of the action pre-figures The Robe, yet I'd always heard it talked of as a sequel, rather than a prequel, perhaps because the last words at the end of "The Robe" are "the big fisherman". This is confirmed in a detailed and interesting write up of this film by John Hayes - who unlike Ron, Peter and me has actually seen it, albeit so long ago that he barely remembers it - over at his Widescreen Movies site. Incidentally, Hayes quotes from both Derek Elley's book "The Epic Film" and Jon Solomon's "The Ancient World in The Cinema". I have both, and do, in fact, recall Solomon's description of Peter as "piscatorial". 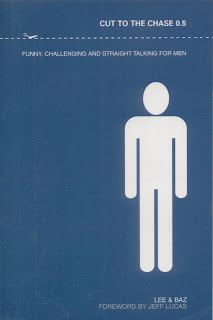 I've been meaning to write up my notes from reading Solomon's book in the summer, but I've not yet found the time. Lectures for MoBiA's "Reel Religion"
Fr. Michael Morris, O.P., Professor of Religion and the Arts at the Dominican School of Philosophy & Theology at the Graduate Theological Union, in Berkeley, California, owns one of the premier collections of vintage biblical film posters in the country. Fr. Morris will speak about the nature of his extensive poster collection, the fascinating history and provenance of the collection, and the history of biblical films ranging from the 1898 film documentation of the Ober-Ammergau Passion Play to Mel Gibson’s The Passion of the Christ. 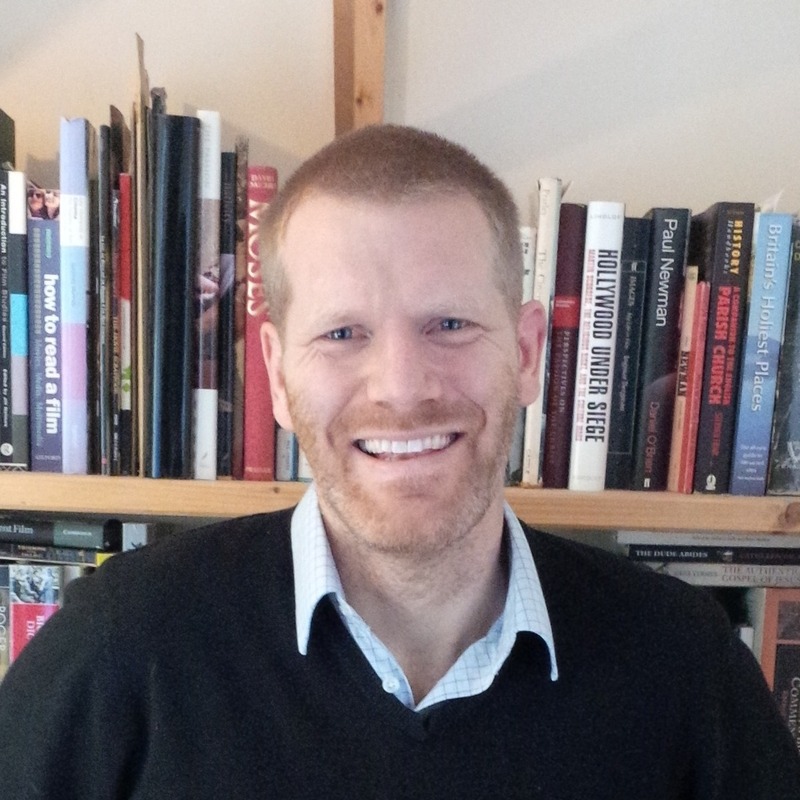 In this multi-media presentation, S. Brent Plate, Visiting Associate Professor of Religious Studies at Hamilton College and Managing Editor of Material Religion: The Journal of Objects, Art and Belief, will draw upon his recently published book, Religion and Film: Cinema and the Re-Creation of the World. Plate will discuss the ways that both religions and films operate by recreating the known world and then presenting that alternative version to the worshipper/viewer. Michael Morris is the collector who has loaned 80 Bible film posters to the exhibition, and so he should be well worth hearing. S. Brent Plate is best known to me as the editor of "Re-Viewing The Passion: Mel Gibson's Film and Its Critics" though I've read a number of his other pieces elsewhere. NYC – based female vocal ensemble Trio Eos returns to MOBIA to perform a series of excerpts from film soundtracks illustrating biblical narratives and tales of influential religious figures, such as Joan of Arc. The Allsar Quartet presents a tribute to the composers of the soundtracks of the epic films featured in the exhibition, Reel Religion: A Century of the Bible and Film. Highlights of the program include string quartets by Miklós Rósza, composer of the music to the film, Ben-Hur. Join MOBIA for an epic event in celebration of the exhibition, Reel Religion: A Century of the Bible and Film. Star in your own film still, explore the art of silk-screening and create simple animated toys. This live-action afternoon will include movie theater snacks and free tours of the exhibition. Fun for all ages! Free with museum admission. One thing I hadn't picked up from the earlier articles I had read is that amongst the exhibits will be a full sized copy of a billboard poster for DeMille's The King of Kings (1927). The original is too fragile to travel, but there will be a documentary on show explaining the process that is being used to preserve it. Directions etc. should be available from the MoBiA website. Peter Chattaway and I are trading Bible film newsbites today. He's just picked up my pieces on The Passover Plot and the MoBiA exhibition, but also added details about Oversold, a modernised take on the book of Hosea. It's been produced by sumoJACK and Elevation Church in Phoenix and recasts the story of Hosea and his prostitute wife Gomer. This is the first film about Hosea I've come across, so I'm looking forward to it. I hope to review the 32 minute film, which stars Crissy Moran, Stephen Zimpel and Grant Henderson, in the next week or two, but those wanting to find out more might like to try the official website. In addition to viewing the film's trailer, you can also download the film for just $5, see a host of production photos, watch an interview with Moran, or buy the DVD. There's also an interview with Moran, director Paul Morrell and writer / pastor of Elevation Dave Cowan over at Christianity Today. New York's Museum of Biblical Art has just opened an exhibition about Bible films. Reel Religion opened on the 6th February and runs through until May 17th. The exhibition's centrepiece is a collection of 80 vintage film posters belonging to Father Michael Morris - Professor of Religion and the Arts at the Dominican School of Philosophy and Theology in California. There are also a number of costumes from various films, and a Doré Bible. One of the Jesus films that I've never had the chance to see (as it's not on DVD and the old VHS copies are prohibitively expensive) is Michael Campus's The Passover Plot. For those not in the know it's essentially a previous generation's Da Vinci Code - a biblical conspiracy story movie based on a best-selling book. The volume in question (also called "The Passover Plot") was written by Hugh J. Schonfield in 1965 and proposed that Jesus did not really die, but that he faked his own death in order to perform the miracle of raising himself from the dead. However, in contrast to "The Da Vinci Code", "The Passover Plot" was written in more in the style of non-fiction. There were two parts, the first which commented on Jesus life and ministry as it told the story, and the second which looked at "The growth of the legend". 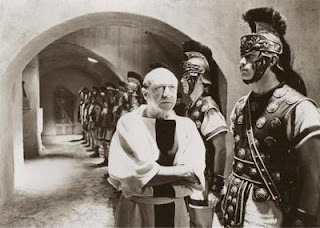 Yet the film, which starred Zalman King as Yeshua (Jesus) and Donald Pleasence as Pilate, was drama not documentary, which presumably means screenwriters Millard Cohan and Patricia Louisianna Knop had to do a little work than would normally be the case for an adaptation. Despite being nominated for an Oscar for Best Costume Design, it appears the film was not well received. 2005 saw the book's 40th anniversary, and a year later Tom Hanks was donning his swept back mullet, but neither occasion prompted anyone to re-release it in the hope of making a quick buck. There is, however, a trailer for the film on YouTube that gives a few insights into what the final film was like. Perhaps I'll get to view it someday and report back. I've had an email and a comment (presumably from the same person) asking about film portrayals of Job. It was actually something I looked at over the summer when we covered the book in Through the Bible in Five and a Half Years. There are very few films on Job, but I did couple across enough to justify forming a label / tag on Job. But the film would be merely annoying and unsatisfying if it weren’t for its subtle intertextuality with the Book of Job. I say ’subtle’ — but there is the fact that every time the bells are rung at the small county church, the walls shake, Adam’s framed picture of Adolf Hitler falls from the wall, and the bible which Ivan gave to Adam falls off the dresser onto the floor, opening each time at the Book of Job. Wrong goes on to notes how these elements draw attention to the film's plot about a Pastor whose suffering is revealed as the film progresses. So it's an allegory rather than a straight adaptation, but still sounds interesting to those looking for films that explore the themes we find in Job. 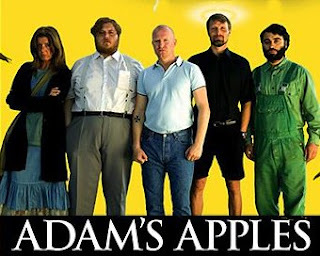 As a side note, my wife has just finished reading "The Vicar of Wakefield" which apparently contains similar themes, and the thought occurs that Adam's Apples may also be based on this book given the thematic similarities and the profession of the leading character. Thanks to NT Wrong and Judy Redman for the latest Biblical Studies Carnivals. Between them they highlight a number of interesting posts, covering a multitude of blogs that I simply never get to read. Next month’s carnival will be hosted by Darrell Pursiful at his blog Dr Platypus. Peter Chattaway has posted an article from Variety about a $2 million Jesus film being made in Lebanon. Shooting is due to start in the summer with the aim being for an initial release at Easter 2010. That's starting to look like a busy period; Mary, Mother of the Christ is also due to arrive in cinemas at the same time. 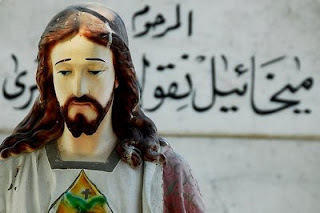 It looks like Lebanese director Samir Habchi (Beirut, Open City) will direct the film, currently named The Resurrected, whilst the actor chosen to play Jesus is called Youssef Al-Khal. Despite the claims of producers Eagle Pictures / the Marwa Group, there have been a couple of similar projects recently. Back in 2006 there was talk of a Coptic Jesus film and i talked quite a bit last year about the Iranian Jesus production Mesih (a.k.a. Jesus, the Spirit of God). Like Mesih, the producers are hoping their film will foster "mutual respect... between Christians, Muslims and Jews". Having seen neither film, I'm keen to see how this would work in practice, particularly as elsewhere there's talk of the "redemptive nature of Jesus’ message" and the film's working title obviously refers to a specifically Christian doctrine. The producers plan to take aspects from the canonical gospels but it will be interesting to see if any other ancient sources are also in evidence. The story will apparently be told from Mary Magdalene's perspective via the use of flasbacks, an idea that was used in 2007's Magdalena, Released from Shame. As they are planning to shoot on the sites where Jesus visited (such as Tyre), it will be interesting to see if they opt to film on either of the two Israeli sites touted as being Mary's supposed home town of Magdala. Wednesday's Radio 4 programme God at the Movies proved to be wonderful timing - for Barbara Nicolosi at least. Yesterday's Variety revealed the principal cast and a release date (Easter 2010) for her Mary, Mother of the Christ. 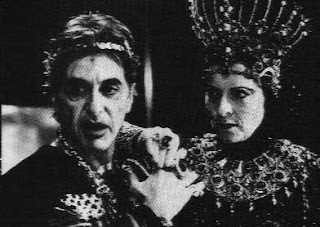 Back in November when Nicolosi talked about a major star being interested in playing Herod, I must confess that I didn't take her that seriously. More fool me. According to Variety, it's Al Pacino. Aloe Entertainment has put together its New Testament ensemble for Mary, Mother of Christ. Camilla Belle (10,000 BC) will star as the titular character and will be joined by Jonathan Rhys Meyers in the dual roles of Gabriel and Lucifer and Peter O'Toole as Symeon. Al Pacino and Jessica Lange are in talks to play Herod and Anna the Prophetess. Mary Aloe is producing along with Dune Films (Hidalgo, Prince of Persia). Argentine helmer Alejandro Agresti (Valentin, The Lake House) is directing the film, which begins lensing in Morocco in May. The cast is impressive, although as Peter Chattaway puts it "it does not look like ethnic authenticity, of the sort that we saw in The Nativity Story (2006), will be one of this film's top priorities." But O'Toole, Pacino and Lange? (Incidentally Peter also points out that Pacino may also be playing Herod the Great's son, Antipas, in the forthcoming Salomaybe?. There's more on this at The Hollywood Reporter, Looking Closer, and Nicolosi's Church of the Masses blog. The latest piece there on this film is one denying all connection with the YouTube trailer posted at the National Catholic Register. Radio 4 broadcast a 30 minute programme "God and the Movies" on Wednesday, and although I missed it at the time, it's thankfully still available on iPlayer. Mark Goodacre listened to this as well, so I'm assuming it's available more widely than just the UK. It's introduced by former Communards keyboard player-turned journalist and vicar Richard Coles. 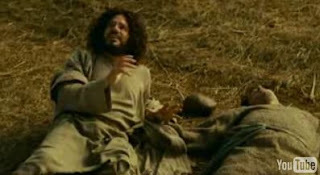 Coles travels to LA to find out about the impact The Passion of the Christ has had on the film industry. The consensus of those he interviews (Phil Cooke, Jonathan Bock, Barbara Nicolosi, Ted Baehr and X-men director Ralph Winter) seems to be that this is a positive thing, but that the winning formula has yet to be perfected. That said, the LA Times' critic, Kenneth Turan, is less convinced. He finds it difficult to believe that blockbuster movies which add in faith elements are actually "driving people to the movies". Towards the end it name drops a few projects that are currently being made: Winter's The Screwtape Letters, Mary the Mother of God (presumably this should be Nicolosi's Mary the Mother of the Christ) and an adaptation of "The Shack". It's an interesting listen, and certainly the kind of programme that's quite rare for Radio 4. American Christianity is rarely taken seriously, particularly its interface with the film industry. Coles does a good job of keeping things flowing and it's his insights that are the ones that tend to stand out the most. Sadly it looks like this is just a one off, unless, of course, Hollywood makes a really dramatic change of direction. One of Hollywood's most humongous productions offers the best and worst of the epic production and is a must-see precisely because of that. Max von Sydow's performance as Christ is superb--perhaps the best ever done for the screen--and the film's slow pace and solemn nature can really work for the patient viewer. I'll be adding this to my list of Jesus film surveys (right hand sidebar) shortly. 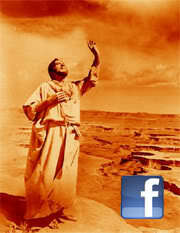 The article also links to a list of biblical / religious films for purchase - 78 in all, which may be of interest to some. Ever since Sunday's Superbowl I've been meaning to post a link to crackle.com which is hosting an exclusive clip from Year One introduced by director Harold Ramis. I must admit that I'm fairly impressed by this. I laughed several times in this 2 minute clip, which is fairly good going, particularly as the clip features the tribesmen played by Jack Black and Michael Cera encountering Cain and Abel (David Cross and Paul Rudd). There's now also an official website for the film, although there's not much there at the moment aside from a link to the above clip, details of release dates, a competition and the chance to register for updates. The movie debuts in North America and the UK on the 19th June 2009. There's also a trailer for the film at the IMDb. Martin Scorsese's Last Temptation of Christ is one of the most written about of all Bible films, with the possible exception of The Passion of the Christ (2004). In the main, those books have largely focussed on the content of the film. 2005's "Scandalizing Jesus: The Last Temptation of Christ Fifty Years On" added a more even handed look to the highly critical volumes from 1988 "Last Temptation of Hollywood" (by Larry W. Poland), "Facts on the Last Temptation of Christ" (John Ankerberg and John Weldon) and "The Last Temptation of Christ: Its Deception and What You Should Do About It" (Erwin W Lutzer). But two books have sought, instead, to examine the context of the film. 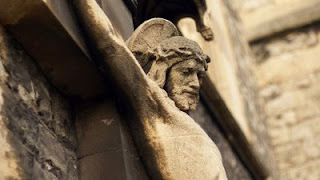 Five years ago Robin Riley published "Film, Faith and Cultural Conflict: The Case of Martin Scorsese's The Last Temptation of Christ", and now, twenty years on from the controversial film's original release, Thomas R. Lindlof has cast his eye over the same events. In fact, two of those authors (Poland and Ankerberg) are discussed in Lindlof's book "Hollywood Under Siege: Martin Scorsese, The Religious Right and the Culture Wars". It seeks to tell the story of events surrounding the film's release primarily from the perspective of the filmmakers. Drawing on extensive interviews not only with Scorsese himself, but also a number of the executives from Universal Pictures and parent company MCA, Lindlof gives what is almost an insider's view of proceedings. Lindlof also interviewed some of the leading voices from the Religious Right, including Poland and Ankerberg, which brings a measure of balance to his work. Yet, whereas there is seemingly an intuitive understanding of the film's makers and producers, he's never really able to empathise with the film's opponents to the same degree. There do appear to have been fewer interviews with the leading voices in the Religious Right, but it's certainly possible that this is because they were less willing to reflect on these events than those making the film. Indeed, one of Lindlof's conclusions is that some of these characters had used this affair to bolster support for their, hitherto, struggling organisations. The film ultimately battled to break even, but the Christian organisations who had been the most outspoken in their criticism of the film saw their profits soar during the period in question. The book's real strength is the way it shapes its account into a tightly wound narrative, even managing to build up a sense of dramatic tension as the US release date approaches. It feels almost like the election night episode of West Wing, as information slowly ebbs in from across the county. This is made all the more remarkable for two reasons. Firstly because, as with any book based on true events, it's harder to create tension when the story is so well known. The vast majority of this book's readers will already know that, despite the odds against it, the film did eventually get made, and that the protests largely went off without major incident. The second point here is that Lindlof is not attempting to write a novel, or a dramatised account. His intention is an accurate representation of the events in question. The 54 pages of endnotes should be sufficient to convince even the most sceptical reader of that. Yet Lindlof skilfully develops his characters in the earlier parts of the book to bring things to a engaging climax. Ultimately we not only care what happens to Scorsese, but also Sally van Slyke, Tom Pollack and many others. Whilst the leading characters from Universal, and even Paramount (who passed on the film at an earlier stage) are well fleshed out, that's less true of the film's main opponents. One notable exception, is Tim Penland the man Universal employed to act as a liaison with leading figures in the Christian Right. As someone who ultimately jumped from Universal's ship and became a key figure in their opponents campaign, it would have been easy to demonise him. Yet here, he's somewhat sympathetically presented as a semi-tragic figure: a man who got in out of his depth in a sea battle he failed to anticipate. Interestingly, despite this book's primary focus on the controversy in the United States, the film's most vitriolic opposition actually came overseas, culminating in an arson attack during a screening in France. 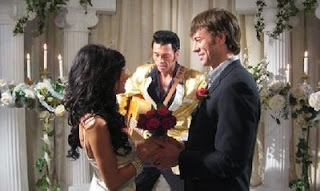 The film's limited release overseas is covered in the final chapter. But, in a way, these events are somewhat tangential to the concerns of this book as indicated by its title - "Hollywood Under Siege". It seeks to flesh out what really went on inside Universal studios during what was a very real crisis. And, in no uncertain terms, it succeeds.